The UN climate summit in Katowice, Poland (COP24) is seen by many as the most important climate negotiation since 2015, when 196 countries created a vision for a zero-carbon future by adopting the landmark Paris Agreement. This year’s summit is the critical juncture for countries to agree on the rules for turning this vision into a reality, and to set stronger climate action in motion. The stakes of moving the Paris Agreement forward have never been higher. COP24 takes place in the wake of the Intergovernmental Panel on Climate Change’s (IPCC) Special Report on 1.5°C degrees, which delivered an unequivocal message that we’ll need dramatic changes across multiple sectors in the coming decade to limit global temperature rise to the thresholds laid out in the Paris Agreement. Coupled with a rising awareness of the increasing signs of climate impacts – from tragic wildfires in California to ferocious typhoons in the Pacific – this should provide impetus for national leaders to step up with decisive action. Backsliding is simply not an option, and inaction will be tremendously costly. Fortunately, the IPCC report also highlighted the many opportunities for climate action that can also boost development. These messages reinforce findings from the 2018 New Climate Economy report showing that climate action can generate $26 trillion in economic benefits globally by 2030. There is no longer a question of whether we choose economic growth or climate action: We can have both. At COP24, countries can demonstrate their commitment to achieving the vision of the Paris Agreement by delivering three things: 1) the detailed guidelines for how the Agreement will be implemented, referred to as the “Paris Rulebook;” 2) a clear signal that nations will strengthen their climate commitments by 2020; and 3) confidence that enough finance will be available to support a zero-carbon and climate-resilient transition. These are not rules just for the sake of rules. To fully bring the Paris Agreement to life and set the course for a rapid climate transformation, countries will need to adopt one set of guidelines for all countries to follow in implementing their Paris commitments and beyond. The Paris rulebook is essential to mobilizing action on the ground and ensuring countries are on track for achieving their individual and collective commitments. It will spell out how countries will communicate their climate plans, how they will regularly track and report on individual efforts, how they will assess progress, and how they’ll strengthen their action and scale up investment over time. The rulebook will need to find the right balance between a common approach for all countries – such as on transparency – with national discretion and the need for flexibility for developing countries with limited capacity. For more on the Paris rulebook, go here. The Paris Agreement laid out a process where countries would strengthen their climate action plans every five years. We are in the midst of the first of those five-year cycles. At COP24, countries need to send a clear signal reaffirming that they will strengthen their national climate commitments by 2020. The final decision agreed by countries at COP24, the “COP Decision,” should reaffirm the importance of the 2020 timeline adopted in Paris for communicating new national climate commitments (known as NDCs). These updated commitments should build on the urgency underscored by the IPCC report and the outcomes of the Talanoa Dialogue, the first collective stocktaking of progress under the Paris Agreement. The COP Decision could also encourage countries to undertake or intensify national consultations on their climate plans, stress the importance of finance to pursue stronger goals, and note the Secretary General’s Climate Summit in September 2019 as an important moment where countries can make announcements about plans to strengthen their climate action. Frontrunner countries might also use COP24 as an opportunity to announce their plans, either individually or collectively, to review and strengthen their NDCs. For more on ambition, go here. Availability of finance continues to be essential for fulfilling the Paris Agreement’s goals – it makes change possible on the ground. COP24 needs to build confidence that developing countries, especially those most vulnerable to threats, will have the support they need to invest in climate solutions and adapt to climate impacts. One of the most significant mechanisms for channeling such financial support is the Green Climate Fund (GCF). Its board meeting in October 2018 bolstered confidence by approving $1 billion in new projects and kick-starting a year-long process to replenish its funding, which is starting to run low. 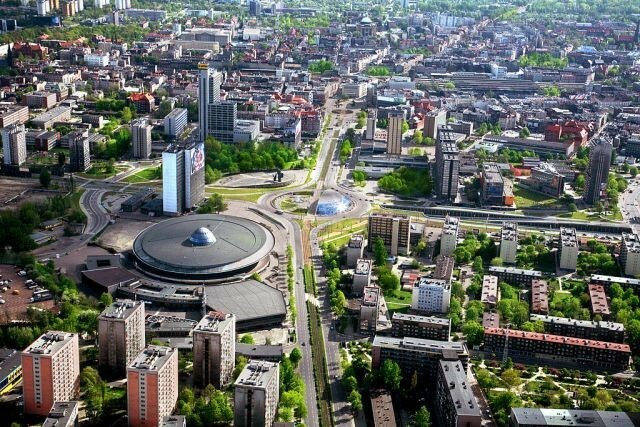 In Katowice, developed countries will need to send clear signals that they intend to support developing countries, including by committing to an ambitious GCF replenishment and by making additional financial pledges to other important climate funds, like the Adaptation Fund and Least Developed Countries Fund. Countries will also discuss progress on the goal of mobilizing $100 billion a year in climate finance for developing countries by 2020, based on the latest Biennial Assessment on Climate Finance. A High-Level Ministerial Dialogue on Climate Finance on December 10th will provide an opportunity to take stock of progress and for countries to announce new funding pledges. For more on finance, go here. Of course, not everything taking place at COP24 will just involve national governments. The Talanoa Dialogue process will bring together ministers, CEOs, subnational leaders and others to discuss concrete solutions they are pursuing across many sectors, highlighting the roles that a wide range of actors can play in the climate transformation. And throughout the COP, many events will showcase examples of action from cities, states and businesses, as well as in the energy, cities, transport, land-use and industrial sectors. At the start of the COP, the Polish government unveiled a high-level declaration on the “just transition,” advancing the aim that climate action goes hand-in-hand with efforts to ensure a fair low-carbon shift for workers and communities. Right now, the momentum behind the transition to a zero-carbon economy is impressive, but it is being outpaced by the increasingly dangerous and costly impacts of climate change. COP24 is a critical moment to bring the Paris Agreement to life and set in place the rules and tools to accelerate global climate action. David Waskow is the Director of WRI’s International Climate Initiative. Yamide Dagnet is a Senior Associate with WRI’s International Climate Action Initiative and leads WRI’s projects on the UN Framework Climate Change Convention. Joe Thwaites is an Associate in the Sustainable Finance Center at World Resources Institute.